Did you know that potassium is vital in the biochemistry of your body? It can help reduce sodium levels, regulate heart rate and function, avoid muscle tension and even lower blood pressure. High sodium (salt) diets and low potassium intake influences volume in the vascular system which can elevate blood pressure. Many doctors will recommend diuretics to offset the increase in sodium, but those medications can further drive potassium levels down…thus exacerbating the problem. The proper treatment is to increase the intake of foods naturally high in potassium and decrease sodium intake. 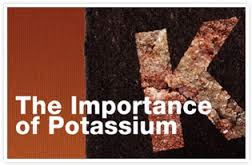 What does potassium do in our body? 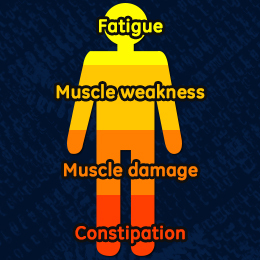 Do you have more than one of these symptoms or possible causes? Before you start taking potassium supplements, try upping your intake of potassium rich foods. If you are really curious, go see your doctor to have blood work done. It is never a good idea to start supplementing vitamins and minerals unless you know you are deficient because if you aren’t, you can create toxicity in the body which can be more detrimental than deficiency. Always seek professional advice before starting a supplement program. Chiropractors are a great resource because we specialize in alternative methods of treatment such as diet, exercise, and nutrition.